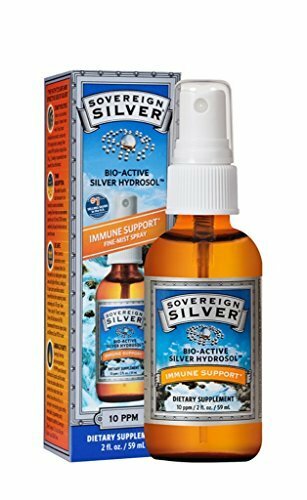 Sovereign Silver Bioactive Silver Hydrosol 10 PPM Fine Mist Spray, 2 oz. 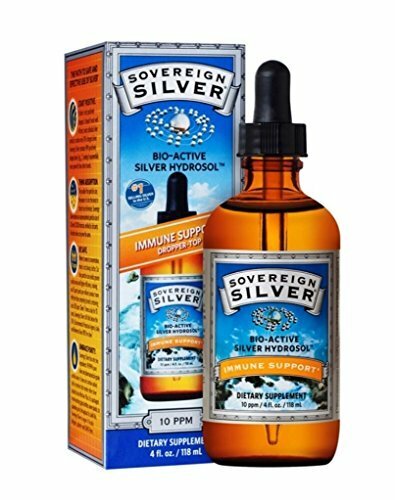 POWERFUL IMMUNE SUPPORT* FROM THE UNDISPUTED LEADER IN COLLOIDAL SILVER - Sovereign Silver is the premium selling silver supplement in North America for immune support*, trusted by millions for over 18 years for its unprecedented safety*, quality and efficacy*. 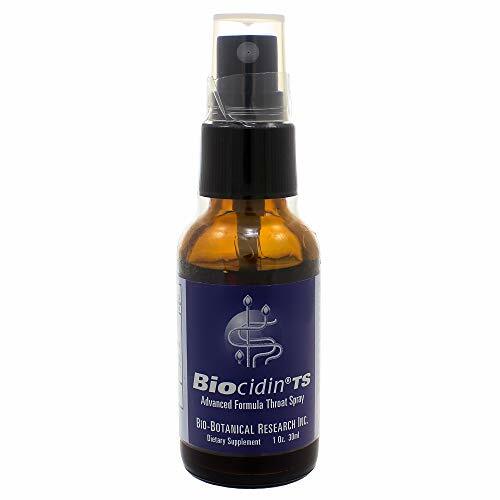 Bio-Active Silver Hydrosol represents the ultimate refinement of the colloidal silver category. It contains more than 98% bio-active silver ions and silver nanoclusters, in pharmaceutical-grade purified water. THE RIGHT DOSE, CONCENTRATION, AND PARTICLE SIZE - Our colloidal silver technology is the best and most advanced in the industry. Sovereign Silver features an unprecedented particle size as small as 0.8 nm (nanometers). No other colloidal silver can prove the same. The smaller the silver particles, the greater the surface area and the easier for your body to absorb and excrete - making our 10 ppm concentration more effective* and safe* than competing brands. GLASS BOTTLES, NOT PLASTIC - We produce the highest quality product available and we ONLY bottle in glass to afford the maximum care and protection available, regardless of the more costly shipping fees and bottles. Glass bottles are crucial to ensure the stability and quality of Bio-Active Silver Hydrosol. Other sellers of colloidal silver use plastic bottles which may contain organic impurities, can degrade over time, and may leach into the colloidal silver solution itself. HIGHEST SAFETY*, PURITY AND EFFICACY* - Sovereign Silver has only two ingredients: 99.999% pure silver and pharmaceutical-grade purified water. Our dose is effective* and safe* - even if taken 7 times a day for 70 years, Sovereign Silver still falls below the EPA's reference dose (RfD) for silver. Our silver hydrosol contains more than 98% bio-active silver ions and silver nanoclusters. Sovereign Silver is vegan, gluten free, non-GMO and allergen-free. "Colloidal Silver" has been used since the late 1800's in countless applications, and encompasses a wide variety of silver products. Many contain (claimed or unclaimed) salts, proteins, compounds or stabilizers, all of which affect the safety and efficacy of silver. Bio-active silver hydrosol represents the ultimate refinement of the colloidal silver category. It contains 98% positively charged silver, in pharmaceutical-grade purified water. Our unique silver species, with a verified and unmatched particle size, remains in its most active state for use within the body. Keep the following in mind when selecting a silver product, so you choose on that is safe & effective:1. The EPA has an established daily reference dose (RFD) for silver of 350 micrograms of silver many brands don't readily share this information because they know that their products far exceed this amount by upwards of 400% in one dose. It is safe to take 1 tsp of sovereign silver 7x/day for 70 years and still be within the EPA RFD. However, you can only take 1/4 tsp (of the 1 tsp daily dose) of a competitor's 250 ppm product before you reach the RFD. Less is certainly more in this case 2. Active concentration matters, not total concentration: Small particle size yields greater surface area, which through oxidation creates more positively charged silver. The larger the particle, the greater the amount of waste that your body must figure out how to excrete. It's this excess silver that can be toxic and potentially cause side effect such as argyria, a benign condition that turns the skin blue. Think of it like trying to get rocks through an hourglass compared to sand. Sovereign silver's unprecedented small particle size makes it easy for the body to absorb and excrete. Natural immunogenics is an NSF certified gmp (good manufacturing process) manufacturer. POWERFUL IMMUNE SUPPORT* FROM THE UNDISPUTED LEADER IN COLLOIDAL SILVER - Sovereign Silver is the premium selling silver supplement in North America for immune support*. 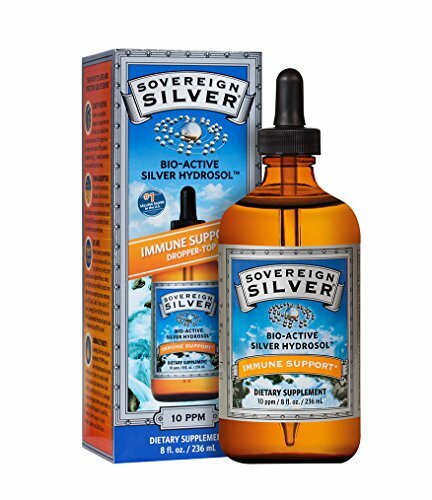 Sovereign Silver represents the ultimate refinement of the colloidal silver category. THE RIGHT DOSE, CONCENTRATION, AND PARTICLE SIZE - Sovereign Silver features an unprecedented particle size as small as 0.8 nm (nanometers). Our 10 ppm concentration is more effective* and safe* than competing brands. GLASS BOTTLES, NOT PLASTIC - We produce the highest quality product available and we ONLY bottle in glass. Glass bottles are crucial to ensure the stability and quality of Bio-Active Silver Hydrosol that is impossible with the use of plastic bottles. HIGHEST SAFETY*, PURITY AND EFFICACY* - Sovereign Silver has only two ingredients: 99.999% pure silver and pharmaceutical-grade purified water. Sovereign Silver is vegan, gluten free, non-GMO and allergen-free. HISTORY'S BEST KEPT SECRET - Sovereign Silver represents the intersection of a long healing* tradition and state-of-the art modern science. Silver is a natural element that can be found in whole grains, mushrooms, mammalian milk, and water. 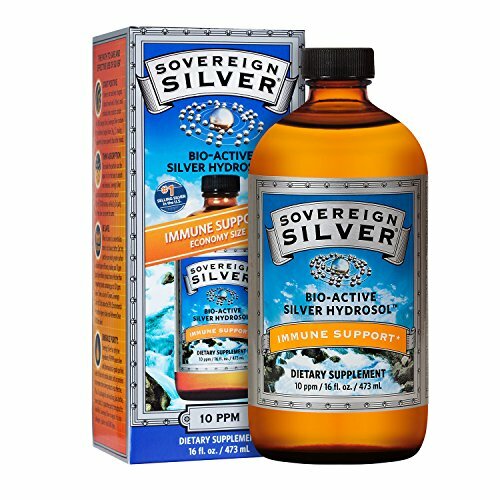 POWERFUL IMMUNE SUPPORT* FROM THE UNDISPUTED LEADER IN COLLOIDAL SILVER - Sovereign Silver is the premium silver supplement in North America for immune support*, trusted by millions for over 18 years for its unprecedented safety*, quality and efficacy*. 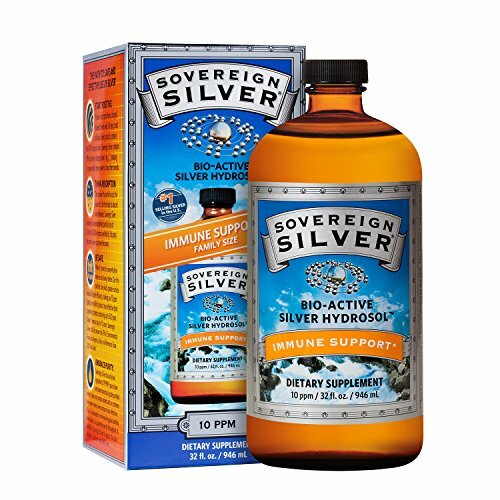 Bio-Active Silver Hydrosol represents the ultimate refinement of the colloidal silver category. It contains more than 98% bio-active silver ions and silver nanoclusters, in pharmaceutical-grade purified water. HISTORY'S BEST KEPT SECRET - Sovereign Silver represents the intersection of a long healing* tradition and state-of-the art modern science. Silver is a natural element that can be found in whole grains, mushrooms, mammalian milk, and water. It has been used medicinally for more than 2,000 years, and Hippocrates wrote of silver's healing and anti-disease properties in his medical texts. Colloidal silver was a preferred choice of physicians in the 1930s, before the advent of antibiotics. ASAP365 Silver Gel by American Biotech Labs is formulated using their unique and patented 20 PPM SilverSol Technology solution. 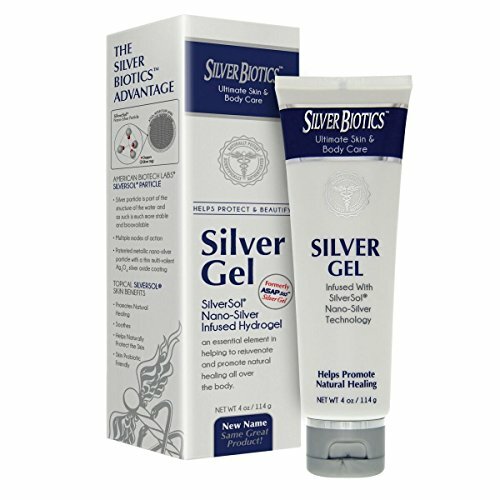 This silver gel can not only help to hydrate your skin but has also been shown to promote natural healing. Your skin is exposed to more damage than you may realize, and sadly, much of it is unavoidable. Using ASAP365 Silver Gel every day can help give your skin the upper hand. It can help your skin remain softer and has become a top choice for many. Usage Apply generously to the skin as needed to help promote natural healing. "Colloidal Silver" has been used since the late 1800's in countless applications, and encompasses a wide variety of silver products. Many contain (claimed or unclaimed) salts, proteins, compounds or stabilizers, all of which affect the safety and efficacy of silver. Bio-Active Silver Hydrosol represents the ultimate refinement of the colloidal silvercategory. It contains 98% positively charged silver, in pharmaceutical-grade purified water. Our unique silver species, with a verified and unmatched particle size, remains in its most active state for use within the body. Keep the following in mind when selecting a silver product, so you choose on that is SAFE & EFFECTIVE: 1. The EPA has an established Daily Reference Dose (RFD) for Silver of 350 micrograms of Silver Many brands don't readily share this information because they know that theirproducts far exceed this amount by upwards of 400% in one dose. 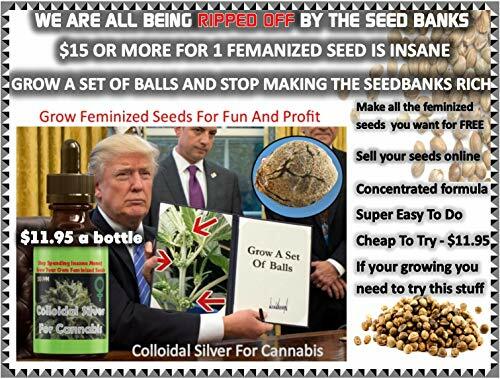 It is safe to take 1 tsp of Sovereign Silver 7x/day for 70 years and still bewithin the EPA RfD. However, you can only take 1/4 tsp (of the 1 tsp daily dose) of a competitor's 250 ppm product before you reach the RfD. Less is certainly more in this case! 2. Active concentration matters, not total concentration: Small particle size yields greater surface area, which through oxidationcreates more positively charged Silver. The larger the particle, the greater the amount of waste that your body must figure out how to excrete. It's this excess silver that can be toxic and potentially cause side effect such as Argyria, a benign condition that turns the skin blue. Think of it like trying to get rocks through an hourglass compared to sand. Sovereign Silver's unprecedented small particle size makes it easy for the body to absorb and excrete. Natural Immunogenics is an NSF certified GMP (Good Manufacturing Process) manufacturer. Since 1994, NPSW has provided health food stores, practitioners and loyal customers the highest quality colloidal silver on the market. 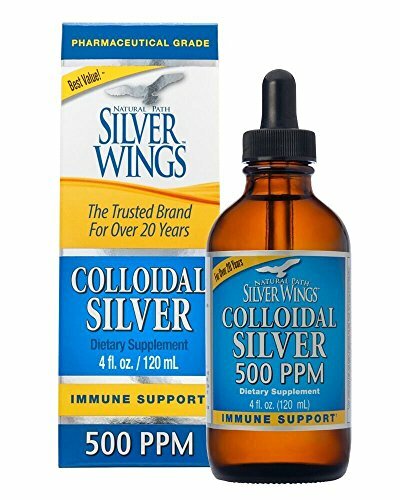 Natural Path / Silver Wings 250 ppm and 500 ppm colloidal silver can be diluted to 10 ppm, thus making it colorless. "Colloidal Silver" has been used since the late 1800s in countless applications, and encompasses a wide variety of silver products. Many contain (claimed or unclaimed) salts, proteins, compounds or stabilizers - all of which affect the safety and efficacy of silver. 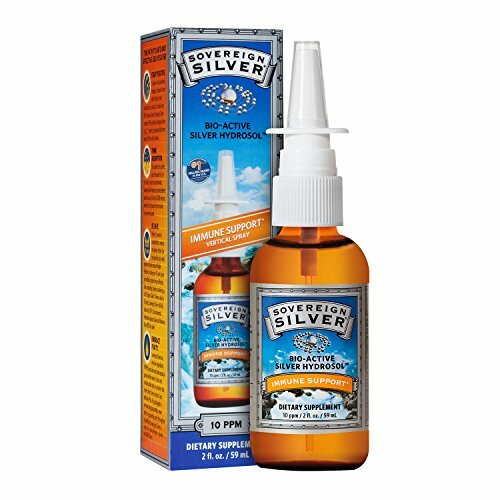 Bio-Active Silver Hydrosol represents the ultimate refinement of the colloidal silver category. It contains 98 percent positively charged silver, in pharmaceutical-grade purified water. Our unique silver species, with a verified and unmatched particle size, remains in its most active state for use within the body. 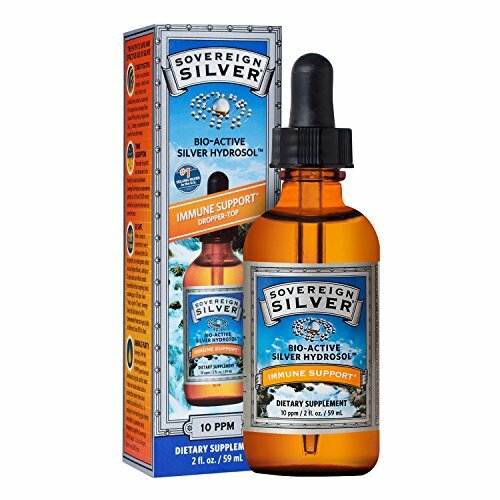 BIO-ACTIVE SILVER - "Colloidal Silver" has been used since the late 1800's in countless applications, and encompasses a wide variety of silver products. Many contain (claimed or unclaimed) salts, proteins, compounds or stabilizers - all of which affect the safety and efficacy of silver. 98 PERCENT CHARGED - Sovereign Silver has only two ingredients: 99.999 percent pure silver and pharmaceutical-grade purified water. It does not contain added salts or proteins that render other silver products less effective. OPTIMAL ABSORPTION - The smaller the particle size, the easier it is for the body to absorb and eliminate. Sovereign Silver features an unprecedented particle size of 0.8 nm/0.0008 microns, verified by 3rd party. No other silver can prove the same. SAFETY - When it comes to concentration, more is not always better. Our tiny particle size yields greater surface area and higher efficiency, making our 10 ppm (parts per million) product more effective than competing brands containing up to 500 ppm. PURITY - packaged in non-leaching glass bottles, never plastic, to guarantee purity throughout its shelf-life. Sovereign Silver is vegan. It is also allergen-, gluten- and GMO-free. Atomic Ormus is rendered using the "Egyptian Wet Method," which was a highly guarded secret of Egypt, passed down from the Priests of Atlantis. 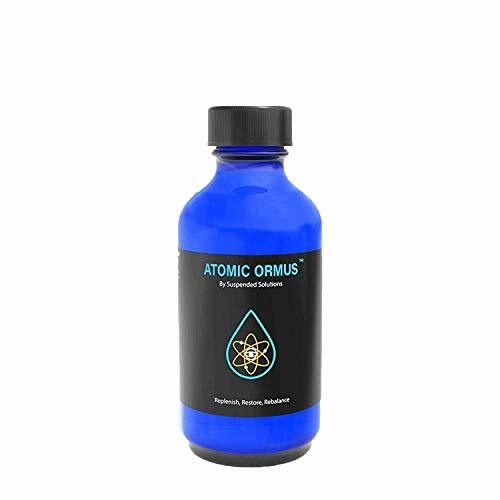 Atomic Ormus is energetically programmed with the powerful intentions of healing the body, repairing damaged DNA, and expanding consciousness by our Resident Alchemist and Certified Reiki Master. Meditation Guide for Activating the Full Healing benefits only at suspended-solutions.com. For Best Results - Take Atomic Ormus in the morning on an empty stomach for maximum absorption. The second time is best taken 15 min prior to Meditation, Yoga or Martial Arts where focus is required. IMPORTANT NOTE Atomic Ormus is not the same for everyone. Some users will experience effects immediately, while others it may take weeks or even months. This is NORMAL with any supplement. Very fine powder. Brimstone quality sulfur dust. Wettable sulfur powder. Commonly used in home, garden, farm, and personal use. Sulfur powder has been used for thousands of years as a natural insecticide, fungicide, and pesticide for plants, garden, home, and other uses. Finest quality available in America, guaranteed. For bulk purchases (100 lbs and more) please send us an email or call. Nature's element- pure sulfur, in a very fine powder form. It is premium. Important Note: VERY FINE - A TRUE POWDER. This is not a cheaper grade 'grainy' powder sold elsewhere. Also available in jumbo Quart size - search Amazon B00OW8PG0U. Packaged and sealed for protection. 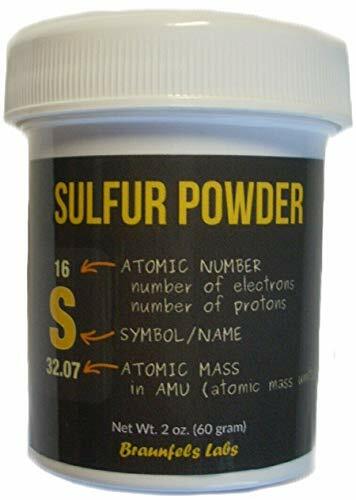 Finest (very small particle size - nearly a dust) sulfur powder available on the retail market. Used throughout history for hair growth, itch mites, animal scab, and skin wellness. Also used throughout history as a natural Fungicide, Insecticide, & Pesticide. Garden use, Home use, Lab Use. Recommended by Holistic Specialists in USA, Canada, and Europe. Now is the time to get serious about your well-being and prepare to make a stand in favor of you and your family's health. 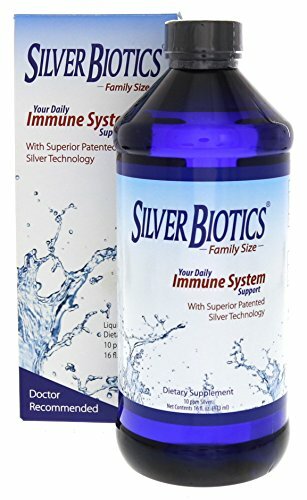 American Biotech Labs Silver Biotics Immune System Support can help boost your immune system, so that your body's own natural defense system can work more efficiently. The truth is we do not have time to slow down in this fast paced world. No one can truly afford the consequences of having to miss a day or work or school unexpectedly. Add Silver Biotics to your lifestyle to give your body that supercharge. MesoSilver is .9999 pure silver nanoparticles in colloid form, a TRUE colloidal silver, which means predominantly silver particles NOT silver ions. The world's highest particle surface area. Up to 600 times greater than other products. Highest bioavailability of any colloidal silver product, due to sub nanometer sized particles. World's smallest silver nanoparticles, typically less than 1 nm. It is an all natural mineral supplement. Colloidal silver made with the highest purity, sterile reagent grade deionized water, with no potentially dangerous protein products. Colloidal silver does not require refrigeration after opening. MesoSilver is non toxic (per Material Data Safety Sheets). NOTE: high PPM (parts per million) does NOT necessarily mean high PSA or bioavailability. Colloidal silver concentration is 20 ppm minimum. Please see our web site "purestcolloids" or our company information here on amazon for more technical information on colloidal silver and the pitfalls of some other products. It is very important to read and understand why our product is different then competing products. MesoSilver is a registered trademark of Purest Colloids, Inc.
World's Highest Particle Surface Area (PSA), which is up to 600 times greater than other products. NOTE: high PPM (parts per million) does NOT necessarily mean High PSA or Bioavailability. World's Smallest Particle Size, less than 1 nm on average, High Colloidal/Ionic percentage & High Particle Concentration. Made with the highest purity, sterile reagent grade deionized water, with no potentially dangerous protein products. Exclusive worldwide manufacturer using the MesoProcess. 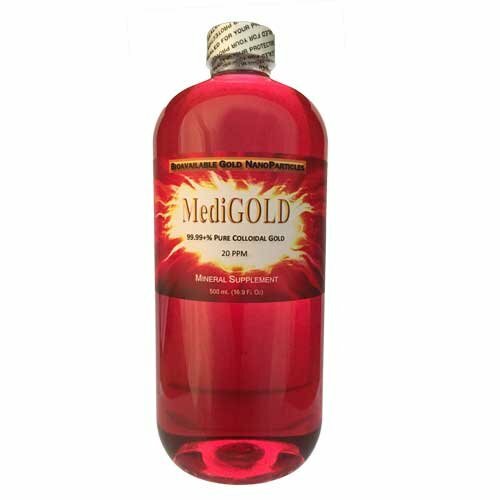 Brand: Purest Colloids | Manufacturer: Purest Colloids, Inc.
500 milliliters (mL) / 16.9 fluid ounces (Fl Oz) of MediGOLD in a bottle. MediGOLD is 20 ppm of 99.99+% pure gold as bio-available nanoparticles colloidally suspended in pure pharmaceutical grade water. MediGOLD's nanoparticles are only 2 to 7 nanometers (radii) and thus 100% bio-available. No color is added. No ionic gold or protein is present. Not photo-sensitive. Top is double sealed: opening is sealed with pressure sensitive sealing disk covering opening which reads "SEALED FOR YOUR PROTECTION" and cap is sealed to neck of bottle with heat shrink neck band that also reads "SEALED FOR YOUR PROTECTION". Shelf life should be several years for unopened bottles, several months for opened bottles. DO NOT ALLOW THIS PRODUCT TO FREEZE...the product will turn clear as all of the gold nanoparticles will no longer be colloidally suspended - even after the frozen product thaws. Recommended daily serving is one tablespoon (15 mL) for adults, or one teaspoon (5 mL) for children, taken on an empty stomach to maximize adsorption in the gastro-intestinal tract. Wait 20 to 30 minutes before eating or drinking. One tablespoon provides 300 mcg of gold, one teaspoon provides 100 mcg of gold. Kaiame Naturals Colloidal Silver | Large 16 oz Glass Bottle | Natural Immune Support Supplement | Ionic Silver, 10 PPM | Safe for Adults, Children, all Pets and Plants! 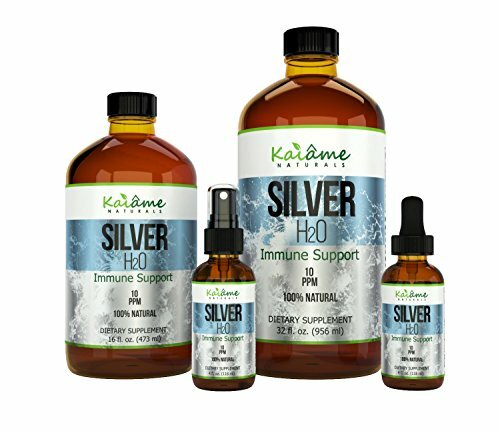 Kaiame Naturals offers only the highest quality silver solution. Our Silver H2O is easily absorbed and excreted due to its extremely small particle size of 0.8 nanometers! Our high alkaline (10-11 pH), low concentration of 10 ppm solution is guaranteed to give you results! Other brands of colloidal silver can contain silver particles as large as 20 microns. The ultra-small particles contained in our solution means your body can absorb and utilize up to 99% of the colloidal silver you take, compared to 40-50% with other brands. Tired of getting sick all the time? 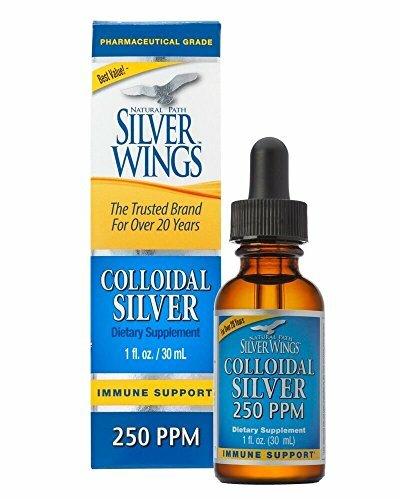 Colloidal silver BOOSTS your immune system to help you stay healthy year-round. There are so many uses for colloidal silver, many of which we can not legally state here. Please research the benefits of colloidal silver, and read all the tens of thousands of testimonies (found on the web) of people who have used colloidal silver to help with numerous health issues. Spray on the hands to use as a natural, alcohol-free HAND SANITIZER. Spray on cuts, bites, etc. Spray on burns for instant relief. Spray tooth brush, bath sponges, dish sponges, etc. to prevent bacteria growth. Like to refill your water bottle but don't have the time to wash it? Spray the top of your water bottle after each use to keep it from smelling bad. Spray kitchen counters, cutting boards, etc. to naturally sanitize them without harmful chemicals. Gargle the colloidal silver to keep bad breath at bay. Have a dog or a cat? Ionic silver is completely safe to use with your pets! There are numerous benefits of colloidal silver for pets as well. EASILY ABSORBED and EXCRETED - Due to its extremely small particle size of 0.8 nanometers, our nano silver is quickly absorbed by the body and easily excreted daily! LESS IS MORE! Our Ultra small particle size results in greater surface area, making our 10ppm solution more effective than other brands with a much higher ppm. GLASS BOTTLE - Kaiame Naturals uses ONLY amber GLASS bottles to store our Silver H2O. Most experts recommend storing ionic silver in amber glass bottles versus plastic bottles to prevent the quality of the colloidal silver from degrading. MADE IN THE USA - Kaiame Naturals uses state of the art equipment to manufacture our ionic silver, making sure to provide only the highest quality silver solution, yielding the tiniest particles possible! 100% PURE and NATURAL - Our silver hydrosol is made with only 99.99% silver and Pure distilled water. No added salts or protiens! 100% SATISFACTION or we will refund your money back - no questions asked! Professional grade of silver hydrosol!! Argentyn 23 professional bioactive silver hydrosol 23 ppm 16 oz represents the ultimate refinement and most significant breakthrough in colloidal technology, having consistently produced the smallest particles ever seen in colloidal silver product. With the most unique charge attributes (98% positively charged). The manufacturing technique is proprietary but particle size and particle charge have been confirmed by third party laboratories and universities. Argentyn 23 is the exclusive proprietary formula designed to provide safe and precise level of silver. Hence colloidal Silver Hydrosol is premium choice for maintaining and sustaining immune defenses in the presence of emerging strains of bacteria, viral and fungal infections. 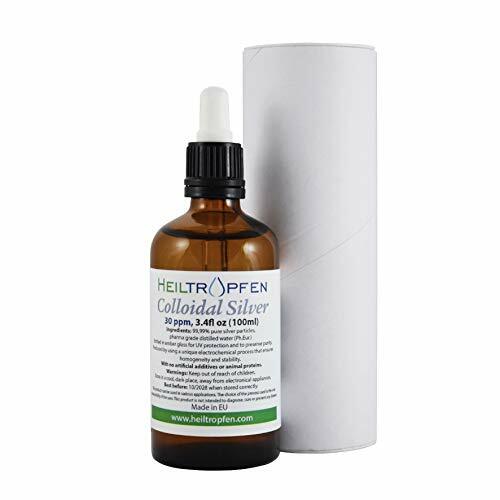 Aid you regeneration support with organic silver hydrosol. Argentyn 23 does not use additives or stabilizers, nor does it contain salts or proteins (often used to keep silver in suspension, but which create silver compounds). It is pure, meaning it contains only 99.999% pure silver suspended in pharmaceutical-grade purified water. No other manufacturer can make these claims and support them with evidence. Protect yourself from colds, flu and common skin infections with actively charged pure colloidal silver as your convenient immune system support. Even the small particle size enhances the bioavailability of silver ion assisting body in efficiently and quickly absorbing the silver. Hence Enhance bioavailability of silver ions in your body with bioactive silver hydrosol to lead a pleasurable life without any worry of weakened immune system! Ingredients: PHarmaceutical-grade purified water. Endotoxin/Pyrogen tested. For best shelf-life, avoid sources of ic energy and extremes of light. This product is not intended to diagnose, treat, cure or prevent any disease. 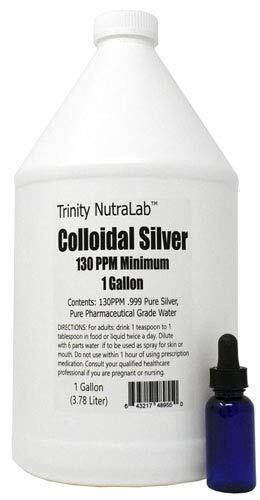 Trinity NutraLab 130PPM Colloidal Silver (1 Gallon). Certified Lab Tested, 100% Pure & Natural. Nothing Added. Trinity Nutralab is among the most respected manufacturers and suppliers of personal choice health and dietary supplements. Certified Laboratory Analysis - See the listing pictures for the report. Beware of homemade colloidal silver. If there is no laboratory report, even those sellers who made it don't know what it really is. The is real, pure colloidal silver with nothing added to artificially inflate the ppm measurement that is verified by a certified laboratory. People who make homemade colloidal silver from inexpensive home electrolysis units are actually making ionic silver and usually below 5 ppm, adding "protein" to increase the ppm measurement. Some do this to no more than 20ppm to 30ppm to be believable, though some use additives to increase it to 500, 1000, 5000ppm or more. When shopping online, who you buy from is as important as what you buy for health and dietary products. 130 ppm (minimum) Pure Colloidal Silver. Top Rated Lab tested - see pictures. Question why if a seller can not prove contents. Documented by FDA registered, DEA licensed, GMP Compliant Laboratory Analysis in listing pics at 130 ppm. Secret Silver is new on the Amazon marketplace. Other sellers on Amazon are competitive and will use false accounts to leave negative reviews to stop newcomers from taking a share of the market sales. Their false reviews are easy to spot. They are outlandish and readily contradicted by carefully reading the product listing and viewing the product images. THE SECRET IS THAT SILVER IS A POWERFUL AND NATURAL PREVENTATIVE AGAINST GERMS. Adverse organisms struggle to live in the presence of colloidal silver. 100% HASSLE-FREE-GUARANTEE. FireWaterStar is a different kind of company that offers the absolute best customer service in the industry. If you're not happy for any reason, you have a FULL 30 DAYS to simply contact FireWaterStar and you will receive a full refund, no questions asked, and no need to return the bottle. HOW DOES COLLOIDAL SILVER WORK? It is believed that silver reacts with bacteria and virus cell membranes by attaching to and suffocating the cell's respiration process. Silver does this by catalytic oxidation which is an adverse chemical-metabolic process that blocks the vital living functions of the germ's cell. It's also believed that silver hinders the germ cell's DNA to prevent it from replicating. HAVE YOU HEARD OF YELLOW COLLOIDAL SILVER? Have you researched it? Most products on the market today labeled as colloidal silver are in fact ionic silver. True colloidal silver has a yellowish color. Ionic silver cannot make it past the stomach when ingested. Inside the human body ionic silver rapidly turns into silver chloride and loses its effectiveness. True colloidal silver can survive in the body to perform it's marvelous abilities. Yellow is for internal use. Clear is for external use. SILVER IS A WELL KNOWN GERMICIDE STRETCHING BACK THOUSANDS OF YEARS IN HISTORY. Silver was used in dishware, drinking vessels and eating utensils. From the water and wine urns of the European civilizations of long past, to the milk containers of the American pioneers. Throughout time, the wealthy have eaten with silver utensils, hence Born with a silver spoon in one's mouth. In our current times, silver drops are put into newborns eyes, and silver laced bandages are used on burns. SECRET SILVER is made from the finest available 99.99% Pure Canadian Silver. Most products on the market are not true colloidal. Check to see if the manufacturer/seller shows the color of their product. 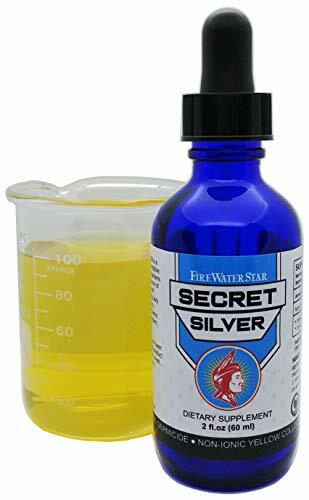 If a product does not have the yellow/amber/gold/or honey color of true colloidal silver, then it's likely ionic, which will appear clear or silver. Silver in true colloidal form will refract light into a yellowish color. 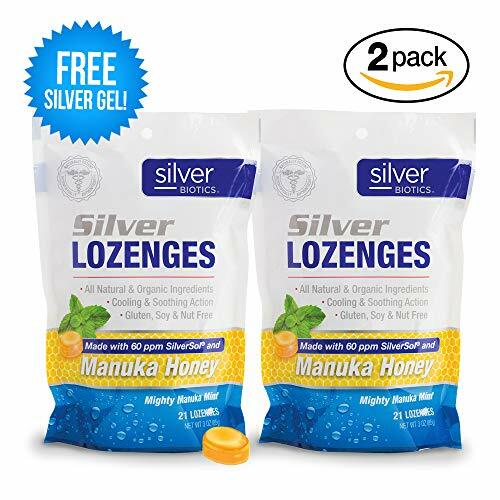 Silver Biotics 60PPM Nano-Silver Lozenges Manuka Honey Mint (2-Pack) with Free Gift! SUPPORT YOUR IMMUNE SYSTEM with American Biotech Labs Silver Biotics Silver Lozenges w/60ppm SilverSol and Manuka Honey. Feel a sore throat coming? Soothe a sore irritated throat with Silver Biotics patented nano-silver technology, raw New Zealand manuka honey, and cooling mint. Honey and Nano-Silver provide a soothing action and neutralize harmful agents while mint cools the affected area, helping you feel energized and refreshed. FEEL THE DIFFERENCE WITH PATENTED SILVERSOL TECHNOLOGY! Nano-Silver lozenges helps reduce the length and severity of sore throats. Also works as a natural disinfectant. Silver helps improve immunity and speed wound healing. Comes with FREE Silver Gel 5g sachet. FAST U.S. SHIPPING! 99.998 pure silver particles (1-20nm) and pharma grade distilled water (Ph.Eur.). First aid antiseptic, as a water purifier... This product can be used in various applications. The choice of the process used is the sole responsability of the user. Keep out of reach of children. Store in a cool, dark place, away from electrical appliances. This product is not intended to diagnose, cure or prevent any disease. This statements have not been evaluated by the FDA. 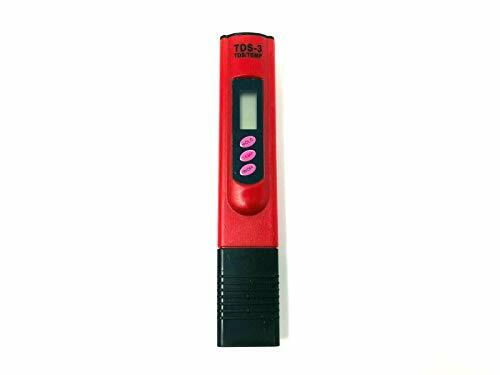 Life Hope and Health TDS 3 Colloidal Silver Test Meter What does TDS mean? TDS means Total Dissolved Solids. This is the measurement of the minerals, salts and metals that are dissolved in a liquid and shown as PPM (parts per million) by your test meter. Another way of looking at PPM is as milligrams per liter (mg/L). The PPM reading tells you how many milligrams of dissolved solids are in each liter of liquid you are measuring. For example, the EPA's max contaminant levels allowed in drinking water is 500PPM which equals 500 milligrams per liter. Why Use Our Meter? Every type of TDS meter comes calibrated from the factory for general purposes. This means that most meters you buy will not be very accurate at the PPM levels you work with when making colloidal silver. The Life Hope and Health test meters are specifically calibrated to be as accurate as possible for testing colloidal silver and distilled water PPM levels. Using Your Test Meter Remove protective cap Turn meter on Immerse meter into fluid, do not immerse above grooved surface Hold in fluid until reading stabilizes, may take up to 45 seconds After reading stabilizes, press hold button to save reading After use, gently shake fluid from meter and dry with lint free cloth Caution Do not drop meter. Do not submerge above grooved surface, the area that is covered by the protective cap. Store at room temperature away from direct sunlight. Disclaimer Tall Brothers Health LLC, Life Hope and Health or any associated entities or individuals are not responsible for any injury or damage from use of this product. Any statements or implications relating to any health benefits from colloidal silver have not been evaluated by the FDA and are not intended to diagnose, treat, cure or prevent any disease. Consult your physician for medical advice. Made for Reliably Testing Colloidal Silver PPM! This Test Meter is Specially Calibrated to Test Colloidal Silver PPM (parts per million). Unlike the others this Test Meter Gives Very Broad and Inaccurate Readings. Comes with Simple Informative Instructions! This Test Meter will Help you in Knowing Whether or Not your Colloidal Silver is Effective! 100% SATISFACTION GUARANTEED or Your Money Back! If You Are Not Completely Satisfied Then We Will Immediately Refund Your Purchase Price! Spray 1 - 3 times in mouth towards back of throat as needed. Discontinue use should adverse reactions occur.